Learn what steps you need to take in order to get paid Restream services. 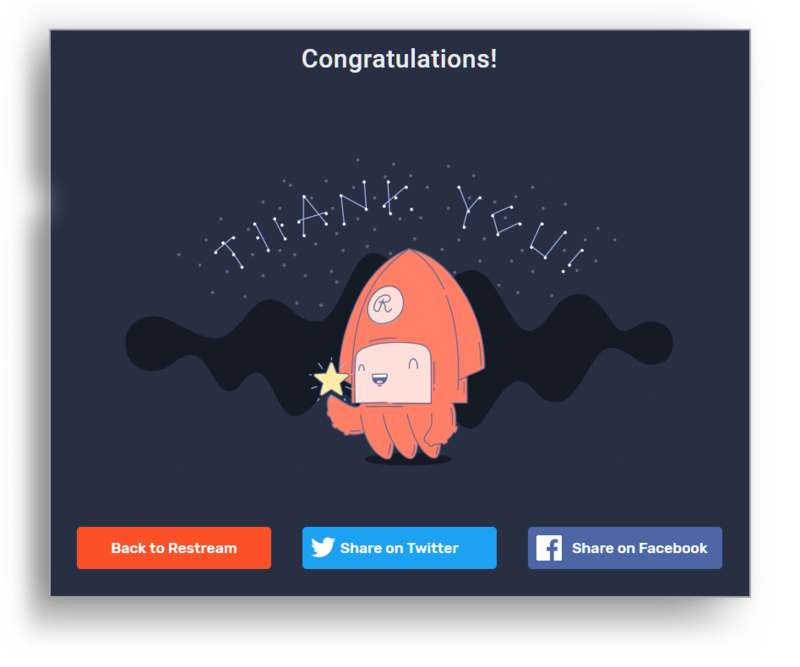 If you want to use Restream at it's fullest, you need to subscribe for the premium services. They will not only allow you to get more channels connected and stream to unsupported platforms but will also let you get better support and give you better flexibility with your Restream usage. 1. You need to have a valid credit card added to your account in the billing section first. To see you can add a credit card, see this article: How to update your billing information. 2. 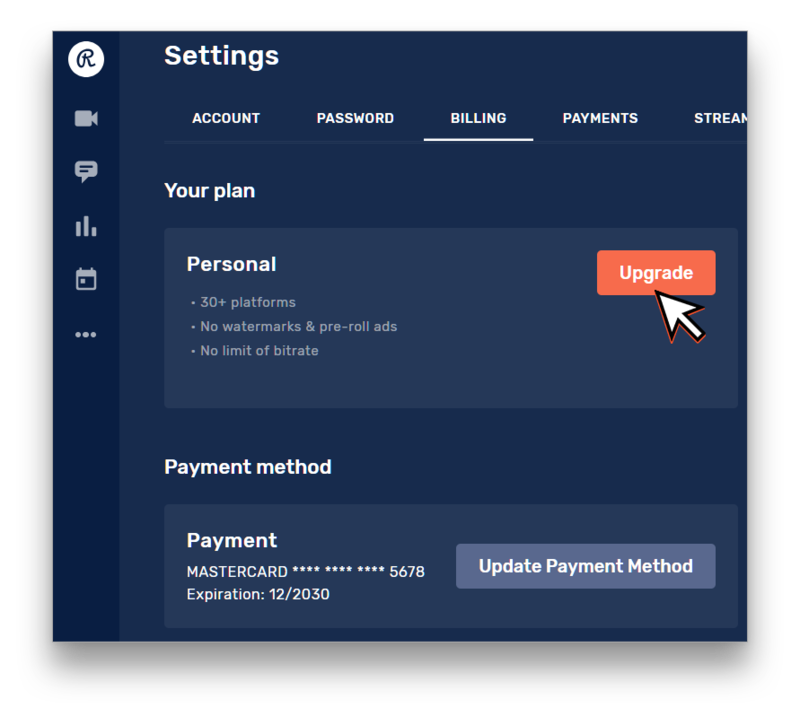 After you have your credit card added, start upgrading your account by clicking the "Upgrade" button in the billing section. 3. Select the plan you want to upgrade to from the list. In this example, we'll get the Standard plan. 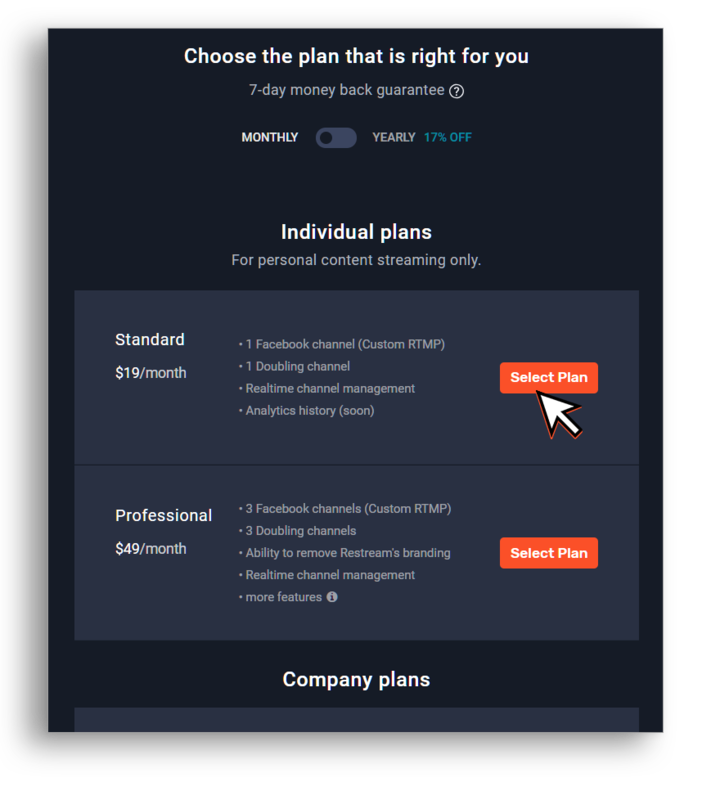 Remember to always check the feature list of every plan, as more expensive plans have more extra channels and additional features Standard plan doesn't have. 4. 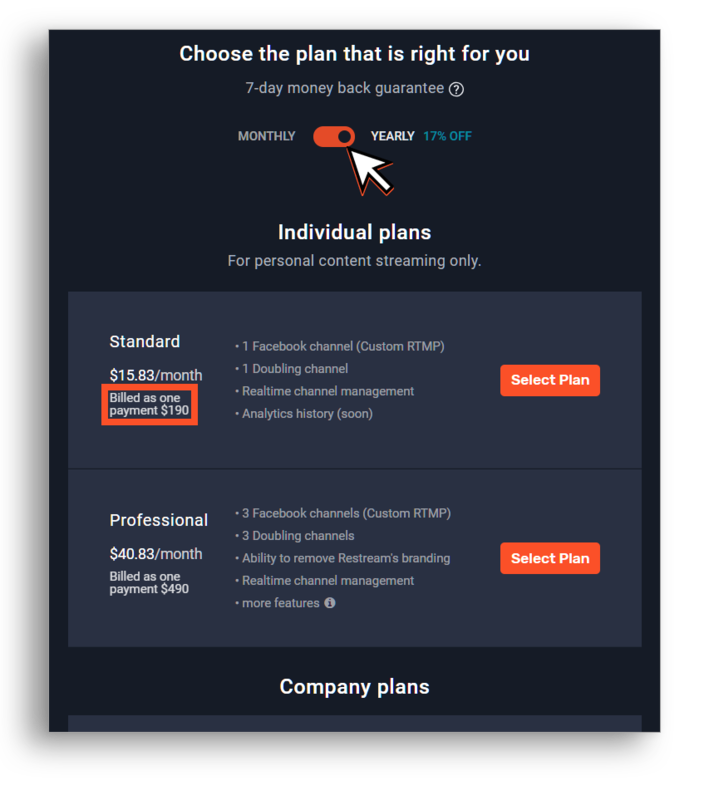 If you want to get a better deal and plan to use Restream subscription for a long time, you can get a 17% discount if you pay for the whole year in a single payment. You can enable this discount by switching the payment period on top of the page. 5. After you select the plan, you need to read the renewal agreement. 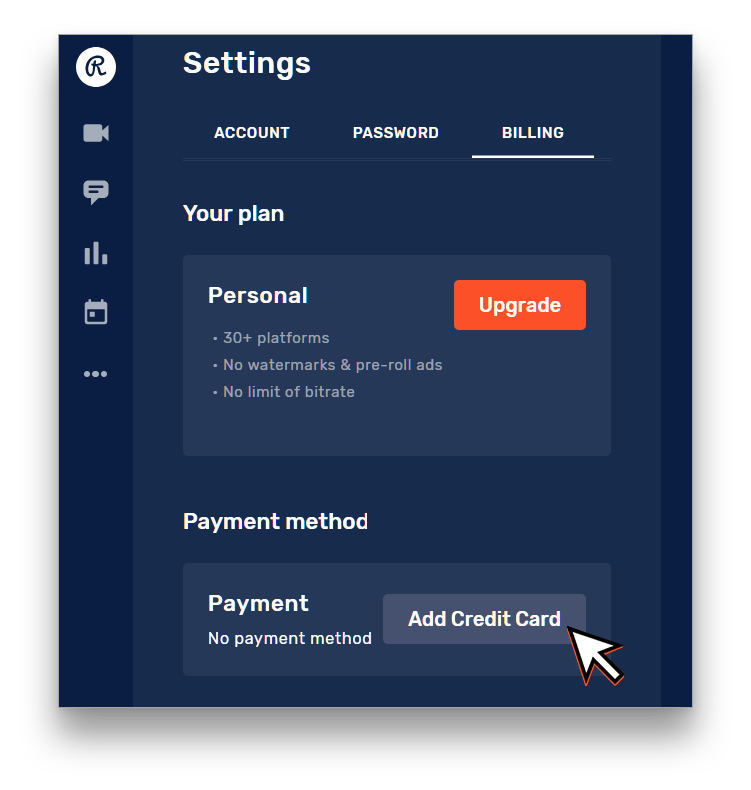 Since you subscribe, we will make sure to provide uninterrupted services and at the end of your period, you will be automatically charged for subscription renewal. 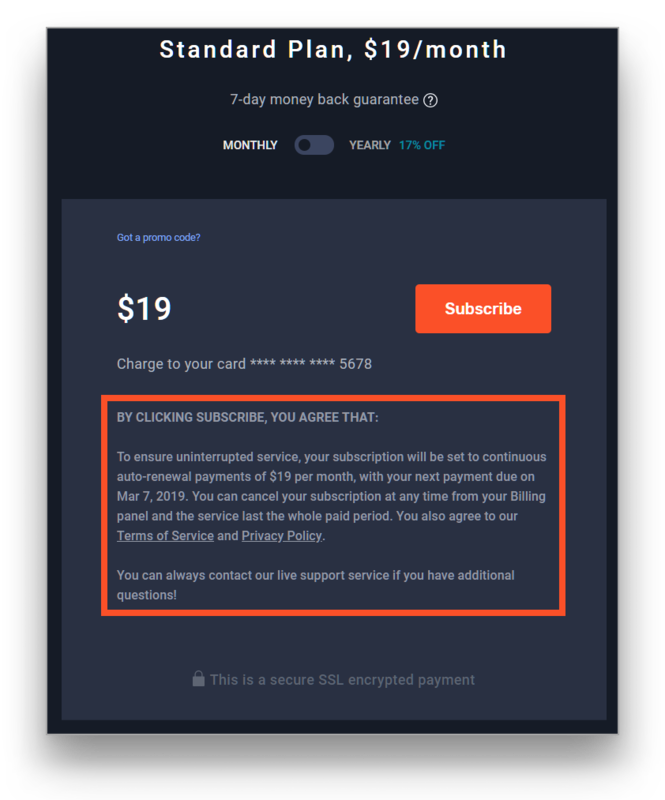 If you want to use paid service for a single period only, you need to cancel your subscription after making the purchase. 6. After clicking "Subscribe" your subscription should be ready for usage. You can now add more channels, switch statuses while you stream and do other things included in your subscription.